In my career, I have owned and scaled several delivery and logistics companies. In that time I have experienced nearly every aspect of this trillion-dollar industry. One thing has always stood out to me is the importance of the driver in a successful delivery process. 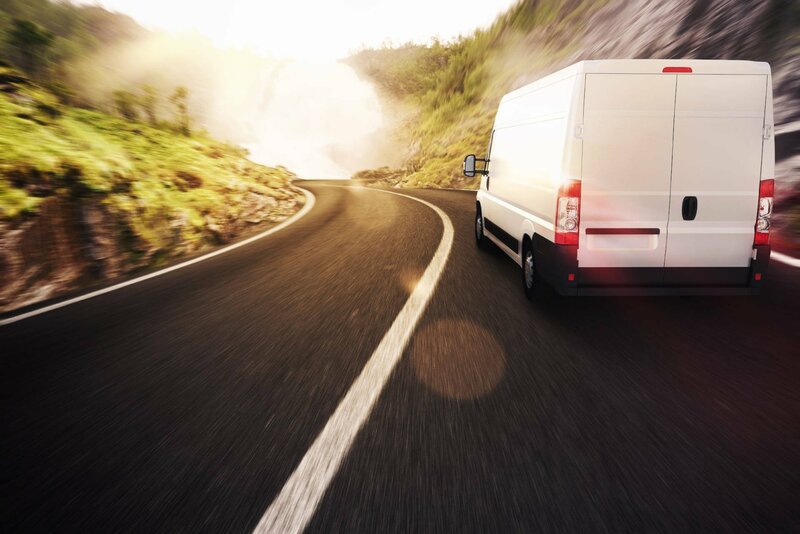 You can document every detail, ensure all shipments are packaged perfectly, account for weather related factors, and have the best operations team in the world, but if the driver doesn’t show up on time on either end, shipments don’t move and promises aren’t kept. Drivers are the lowest person on the totem pole and, yet, the most important part of deliveries. The logistics industry has always looked at drivers as a cheap, easily replaceable commodity and pay them as little as possible. At Airspace, we started by focusing on our drivers. We ensure their job is as simple and straightforward as possible by giving them the tools they need. We do this by using our direct to driver model through the use of our proprietary app. Airspace Technologies from Airspace Technologies on Vimeo. Most commonly, drivers are routed by a central dispatcher or team of dispatchers that are constantly taking orders from customers and directing, redirecting and basically puppeteering a fleet of pickup and delivery vehicles. This process entails emails, faxes, landlines and numerous calls to the driver’s mobile phone. All the while this individual is operating a vehicle and trying to be many places within short windows of time. The entire process is extremely inefficient for everyone, including the customer who simply wants to know when their shipment will arrive without worry or stress. Even worse, drivers are left to manage the communication with their dispatcher and/or customer, while constantly checking their note or clipboard to find out where they need to be next, while also plugging in different addresses for their next stop into GPS or a mobile phone. I can tell you, first hand, this leads to unnecessary property damage and car accidents every day. As I was growing and scaling my most recent delivery company, Fast Delivery, I knew others were facing the same problems — making commitments to my customers while my drivers had so many distractions and obstacles in their way. I also knew this dysfunction was costing my company a tremendous amount of money and that meant other, larger companies were losing even more. That’s why I started Airspace. I wanted to create the definitive tool kit for an industry desperately needing change and innovation. Along the way, we’ve uncovered a few more complicated issues that we’re solving with technology. They include optimal flight path routing, aggregating data on airline operating procedures, services, hours of operation for every location in the US, how to safely and legally put tracking devices inside packages and then teach them to alert us when they are not on track and a slew of others. Currently, our app allows other IT systems to safely communicate directly with a driver throughout the entire delivery process while giving shippers and receivers visibility into location, status and ETA. Because we work directly with drivers, we’re able to pay them more and retain the very best. In turn, they love working for us. Airspace is different than any other freight forwarder because we provide 100% transparency in real-time to our customers at every stage of the delivery process. It shocks me that, in 2017, there are human organs being transported that cannot be tracked through the entire process. Our customers love us because we give them the ability to stay informed from pickup to delivery without fail. We have been fortunate to work with some of the most recognizable shippers in the US and have managed thousands of extremely critical deliveries because we help people live worry free, even when something that is invaluable to them is being transported thousands of miles. If you had a relative or friend waiting on a life-saving kidney, wouldn’t you want to know exactly where it is at all times? My team and I are not going to stop until people have what they want and need when they are receiving an important delivery. People want to know exactly when their shipment will arrive and if there is a change in that plan, they want to know their shipment is back on course and exactly when to expect delivery. We want to give this peace of mind to people and we’re having the time of our lives figuring it out!